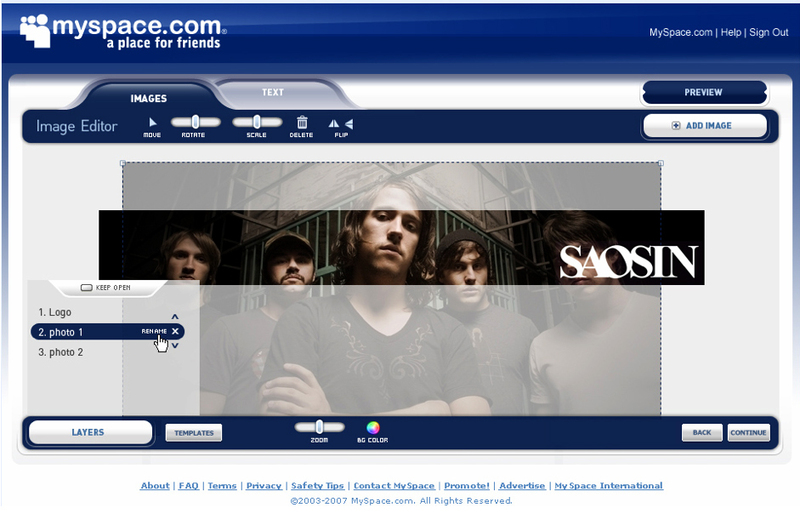 MySpace will announce plans to introduce a new advertising platform, “SelfServe by MySpace,” at Ad:Tech Monday. The service itself will launch to a limited set of advertisers in the next sixty days. The nearly $1 billion Google search deal signed last year is not affected by this product. 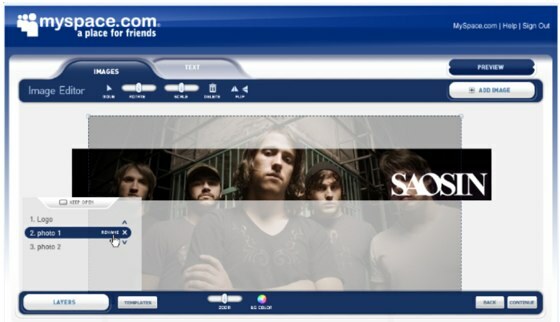 Google handles search and text ads only; the new MySpace platform is for display ads on profile pages. SelfServe by MySpace will allow advertisers to directly purchase, create (see screen shot below) and analyze the performance of ads throughout the MySpace network, in a similar fashion to Google Adwords (although the MySpace platform is for building display ads, not text ads). MySpace will be the first of the big social networking sites to announce an advertising product such as this, with Facebook said to be announcing a similar service Tuesday. The new tool will enable users to select from a number of ad targeting factors such as geographic, demographic, and various user interest categories. The service will be ready for use by early 2008. The minimum advertisement purchase size is $10; pricing will be based on a click to the advertiser’s profile and will be auction based once it gets going (to start things off, MySpace will charge a fixed CPC based on the category). MySpace says there 23 million small and local businesses in the U.S. (citing government statistics) Only about 1 million of them advertise online, and those that do generally advertise only via search (Google, Yahoo, Microsoft). MySpace says about 10 million businesses maintain a profile on the service. The goal of the product is to give those businesses a new way to reach out to the community. MySpace will also announce the completion of the first phase of another new advertising platform, “HyperTargeting by MySpace” which allows marketers to buy advertising targeted to specific interest-based segments of the MySpace audience. MySpace uses proprietary technology to build a detailed profile of each user and their friends, including age, gender, location and interests. Much of this information is pulled contextually from the profile itself (that’s where the secret sauce is). So, for example, MySpace may have a very good idea that a user is not only a sports fan, but the specific sport the user loves as well as the teams and even players he or she follows closely. There are over 300 subcategories for movie lovers alone. There are around 1,000 total categories. MySpace says advertisers do not need to worry about targeting too specifically; their reach is so massive that even at a highly targeted level, there are still plenty of users to advertise too. Advertisers, including small advertisers on the new self serve platform, can target as specifically or generally as they like. When advertisers build an ad using the tool pictured below, they can use any of the content included in their MySpace profile to build the help build it quickly. Once the ad is created, advertisers choose their targeting categories and enter a credit card. That’s it. The service first launched quietly in July and has around 50 advertisers using the service including Procter & Gamble, Microsoft, Ford and Taco Bell. Update: we’ve just received the first screen shot of the interface. It comes complete with image editing capabilities to design banners built-in. Click for a larger view.